Processing of Stainless Steel weldments require a strict separation of ferritic materials since even the smallest adhesions and scratches on the surface may cause further corrosion. Flaws on the table surface can usually only be removed by complete immersion in a pickling bath. 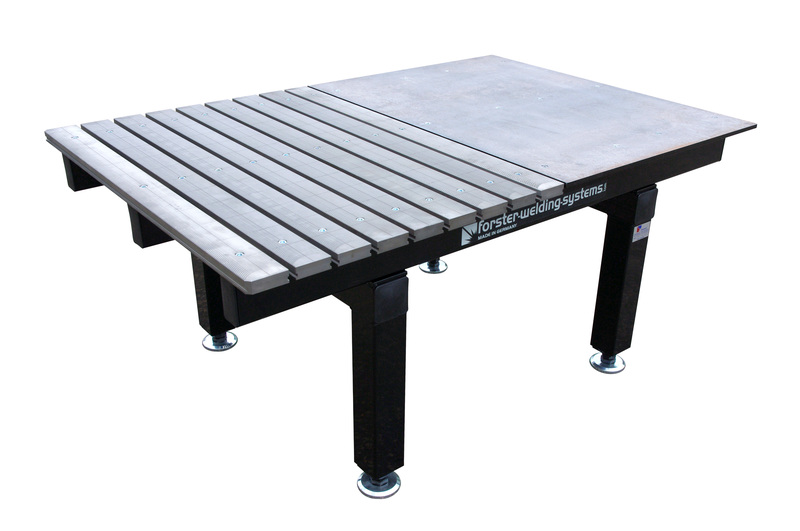 Consequently, stainless steel manufacturers are increasingly interested in a welding and work table with a non-ferritic surface made of Al/Cu Alloy.